Now listen very carefully to these directions and take your time. Don’t skip ANY steps as it is critical to the preparedness of this dish. (pausing for effect) Mix it all together. Done. I wind up using some of the reserved pineapple juice and add to my liking. 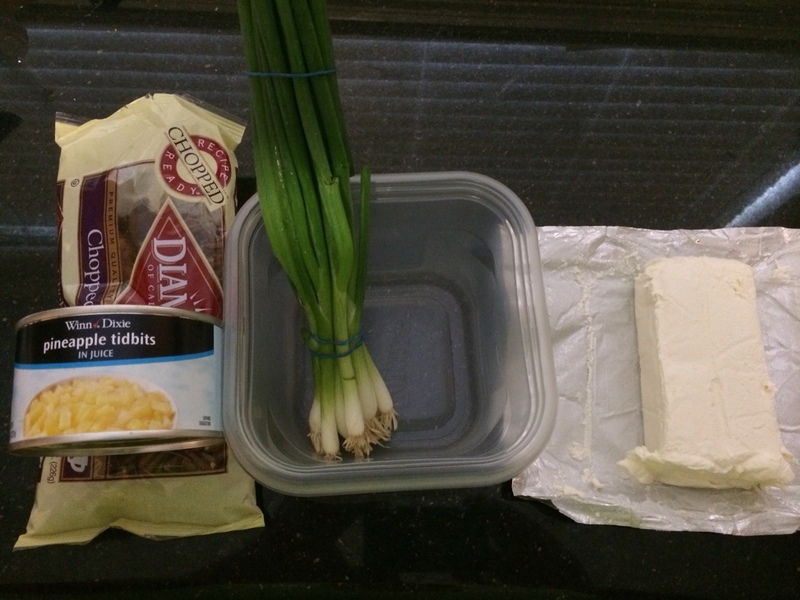 It helps the cream cheese get a little bit more of that pineapple flavor and also thins it out a little bit. This recipe is easily doubled. Serve with club crackers. This recipe is so yum. Quick and easy with only 4 ingredients. I can’t claim it though. A friend shared it with me years ago. (Shoutout to Angela Wilhoft!) 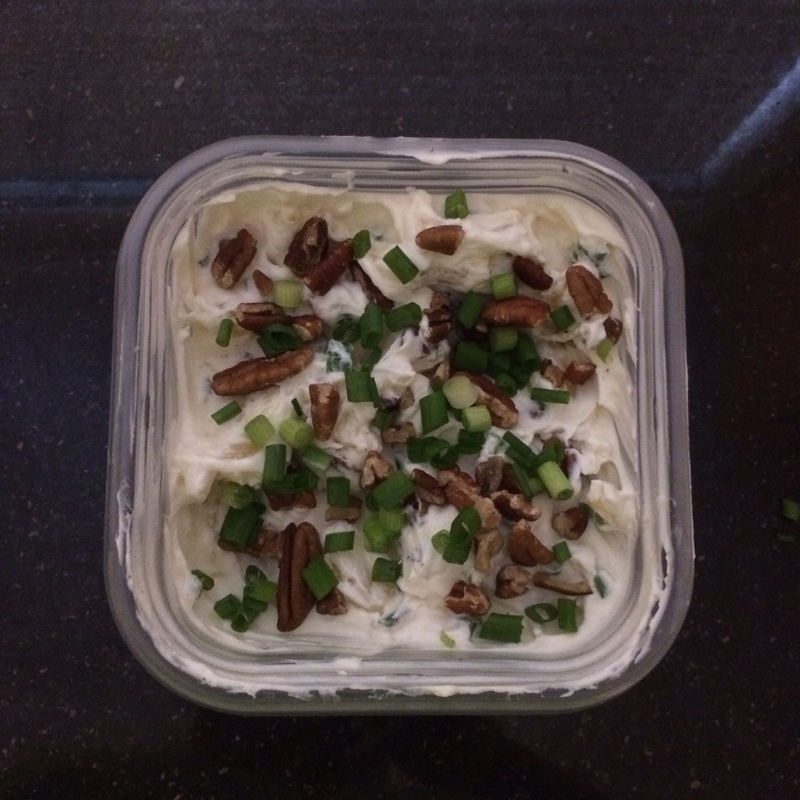 Good for a party, to make with a dip, or just to snack on plain which is generally how it’s made in our house. When I do make them I have to bring a bag to my mom and one to my bro. These definitely don’t last. Mix oil, crushed red pepper, and pack of dressing mix together in a cup or bowl. (I normally just do mine all in the measuring cup. ) Pour 2 sleeves of the saltines in one of your gallon sized bags. Pour 1/2 of the mixture in and close the bag. Use your hands on the outside of the bag to coat the crackers with the oil. Repeat with second half. In 5 minutes start to finish you are done! You will want to go back to the bag every 30 minutes are so for the first few hours just to mix and flip. (I always lay mine flat.) Or I just do it as you’re passing by. If you try the crackers right out of the bag they wont have that much of a flavor to them. The longer they sit marinating the better the flavor will be. I find it is best that you leave them for 24 hours before enjoying. Also, I always find the second bag is better than the first. Whereas the first bag is good as well, no matter how vigorously you mix the oil some of the seasoning just sits at that bottom and of course those seasonings land in the second bag. Please note that the above picture is not taken by me. 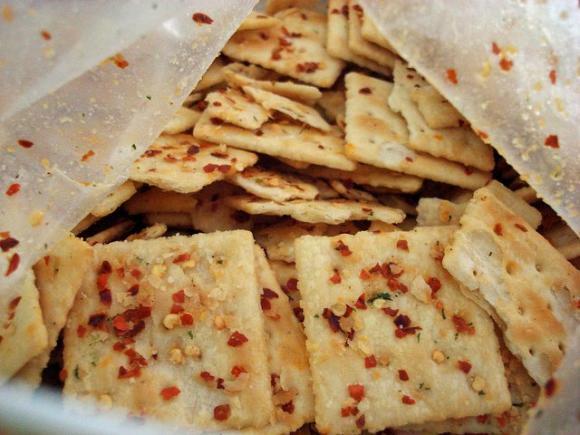 Although those are Firecrackers, mine don’t normally have THAT much red pepper in it. If you like a little spice but not your mouth in flames mine should be the right amount of kick. 🙂 Enjoy!